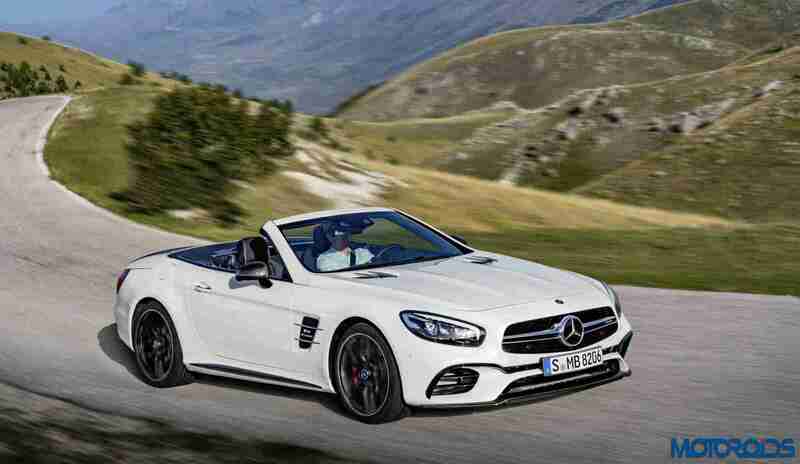 Motoroids had earlier reported about the leaked images of the upcoming Mercedes Benz SL Class facelift which, then, was just a few days away from its debut at the Los Angeles Auto Show. Now, the new SL Class has been officially announced and the finer details of the facelift have been revealed along with a series of videos that capture the luxury car in action. The first thing one can notice in the visual updates is the unique diamond radiator grille that extends downwards. It features the LED intelligent light system which is now a standard feature on most M-B cars. The frame of the headlight is retained in black to give it a classy look. One push of a button and down goes the roof! And there comes out the roadster appeal of the car. Blue and grey colours are two new options available. These colours are further complimented by 5 spoke or a 10 spoke wheels which are finished in a shade of high-glossy black. The interiors feature ambient lighting for starters, colour options being red, blue and white. The 3 spoke steering wheel adds to the sport appeal of the SL class. The airbag module too is finished in Nappa leather stitching! The abbreviated form for the SL in the SL class stands for “Super Light”, to which it stays true. The navigation menu can be accessed with the help of 12 buttons on the instrument cluster which can also be used for the audio system, voice entry as well as the telephone. The instrument cluster has two tubes that display speed and rpm meters while the digital display between them displays other info such as trip meter, odo meter, etc. It also displays the front view of the car as it is fired up. The analogue clock which is an optional feature adds to the classic beauty of the interior. The boot separator is a feature which helps to increase the size of the boot with respect to the convertible roof. If the separator is in the upper position for increased boot capacity, it automatically moves down when the top is opened. The KEYLESS-GO convenience package includes remote closing of the boot. The Hands Free access feature helps one to open the boot by simply mimicking a kicking action below the bumper. The SL Class will be available in 4 variants- The SL 400, SL 500, SL63 AMG and the SL 65 AMG. 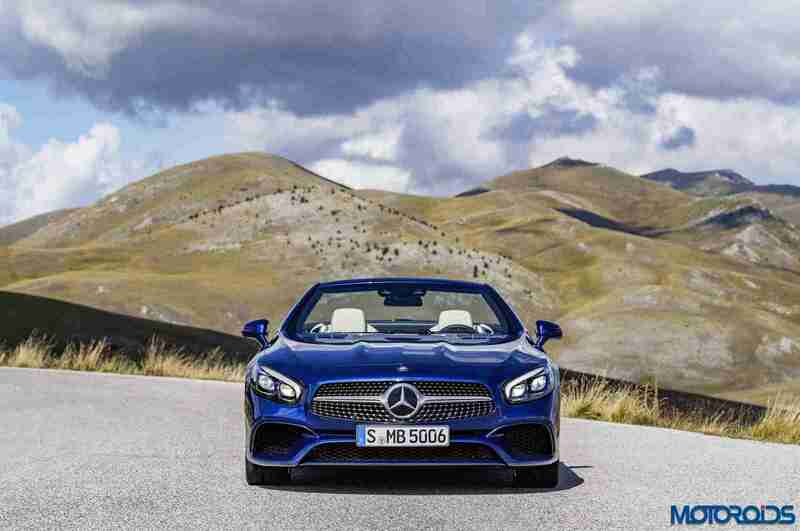 The SL 400 will be the base variant powered by a 2996 cc V6 engine which produces a maximum power output of 367 hp at 5500-6000 rpm and a maximum torque of 500 Nm at 1800-4500 rpm. The top of the line, SL65 AMG will be propelled by a 5980 cc, V12 engine producing a maximum power output of 630 hp at 5500 rpm and a maximum torque of 1000 Nm at 2300-4300 rpm. The car hosts a variety of features such as the 9G-TRONIC automatic transmission, Dynamic select featuring 5 transmission modes and vision body control. Active brake assist, also known as Collision Prevention Assist Plus is a standard feature on the SL class unlike the other models which have it as an option. This feature uses autonomous braking to prevent a rear end collision. It also slows down the speed of the car and at low speeds it is capable of completely stopping the car before it hits a slower or stationary vehicle. Other safety features include active blind spot assist, active lane keeping assist, Pre-Safe plus Distance Pilot DISTRONIC, steering pilot. The optional feature known as parking pilot helps the driver to manoeuver in and out of tight spaces. This feature is further enhanced by six ultrasonic sensors on the front and rear bumper that measure the size of the parking space while driving by. 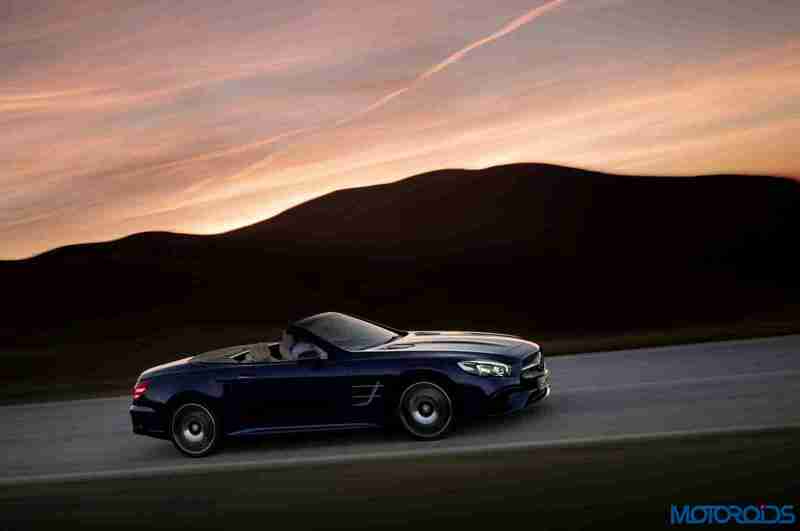 The Mercedes Benz SL Class will be available starting April 2016. Prices and further details will be announced during the ongoing Los Angeles Auto Show. 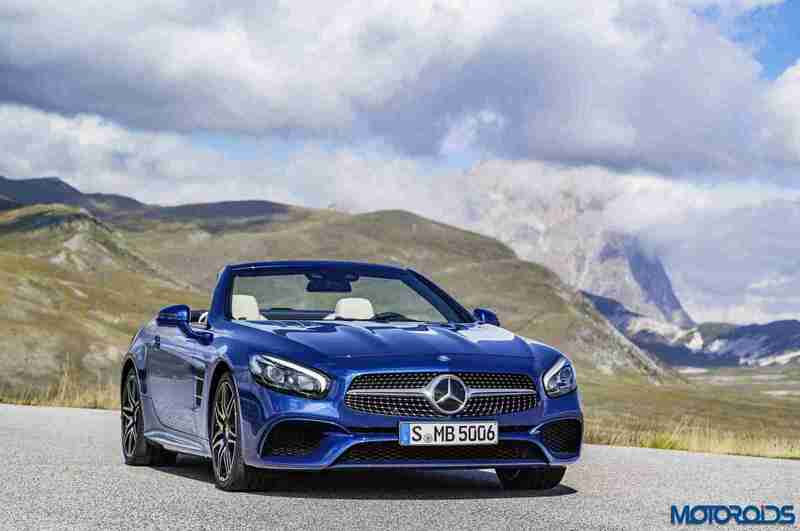 What do you think about the 2016 Mercedes Benz SL Class? Will it carry on the legacy of the previous SL Class? Will it set another benchmark for the German automobile manufacturer? Let us know your opinions through the comments section.